I was one of the lucky reviewers to work on this humorous shirt website, where I could have the opportunity to own one of their fine products. I received the item through USPS and I am quite impressed of its fast shipping. As I opened the wrap up, I was pleased to see that the fabric used is very soft. Even smooth when to wear and feel it, very stylish and versatile for I can still wear the shirt even after pregnancy, and that is what I’ve always looking when I buy clothes. I adore the humorous print, and printing is flamboyant. I have lots of compliments when I wear the shirt outside the house and it also attracts attention. It has the right size and fits on me well. The shirts on the website also come with different colors and they are using a high quality fabric. 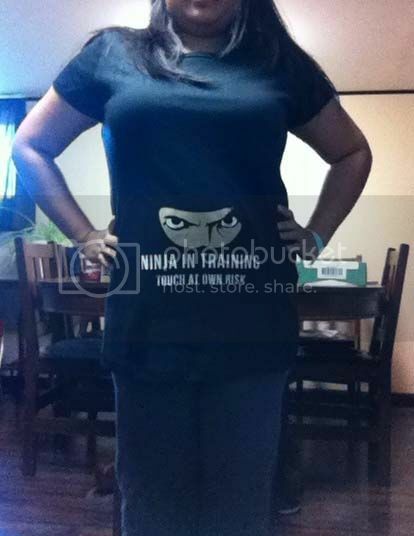 Lightweight indeed and also cotton t-shirt, and among the prints, I choose Ninja in Training Maternity Shirt for it is indeed quite appealing. It has a retail price of $19.99 only and comes with Small to XL sizes men or women. They’ve got great selection. 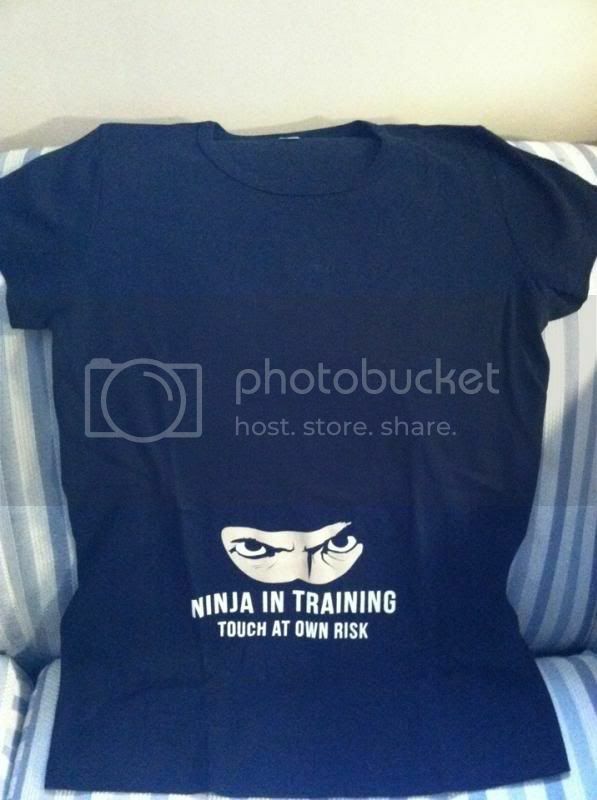 If you wish to get your own, humorous shirts simply, please visit Maternity shirts at www.maternityshirt.com for more details. Me neither, I wouldn't dare touch it lol. A good cotton T-shirt as sleep shirt. I won't dare touch! LOL! That's one cool tee! That's a very nice shirt. It will certainly invite comments from those who see it. I am a fan of shirts like this, funny and not the traditional type of design. I'll get that shirt if I get pregnant. I like it so much. The tee looks like so comfy to wear. hahaha How cute and funny! Love it! Maybe this tee is a sign that you are having another baby? Same question here with sis Rose mommy, Are you having another baby?